Chrispinus is an Entrepreneur, technology expert, and software engineer working to onboard the latest technology to his community where technology is next to a myth. He adapts new relevant technology, and puts it into practice with marvelous products at the that solve his community’s problems. 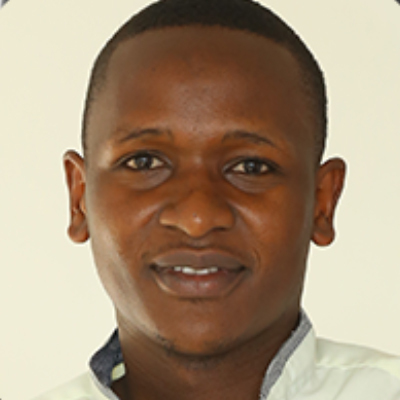 He is the CEO of clinicPesa a platform established to provide access to healthcare financing to the innumerable uninsured citizens of East Africa with cross-border health protection portability service. clinicPesa works with the EAC and GIZ to actualize its benefits to the citizens of East Africa. Onyancha is also the Co-Founder and Managing Director of creativeDNA Uganda, an information technology company that was founded three years ago. Chrispinus has also demonstrated success in leading and developing multiple complex high-profile projects simultaneously, partnering with both local and global companies and organizations in achieving scalable products and services with proven track record in delivering business change and advantage while adding value. He is also an author and instructor with Packt Publishers in the United Kingdom as well as a Google expert and evangelist in Uganda.